As a small business owner you don’t always have the luxury of having a sale staff or marketing person to attend events on your behalf. You know you need to attend a networking event. Your colleague isn’t free to join you. You need to go alone. There will be 50 people in the room who you haven’t yet met. Does this strike fear in your heart? Have you ever felt stuck in a conversation with a new contact and don’t know how to elegantly conclude the conversation without making an excuse? Do you make excuses and skip networking events when you have to go solo? If you answered "yes" to any of these questions, we have the perfect event for you. To Kick off May, Small Business Month, we are excited to host Diane Darling, nationally known speaker and author to present a business breakfast workshop to address this very topic. Register now for this special event as tickets are limited. 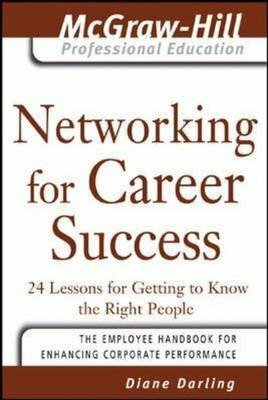 All attendees will receive a copy of Diane's book, Networking for Career Success, breakfast and participate in the 1 hour workshop. 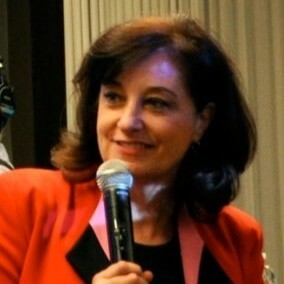 Diane Darling is the founder and CEO of Effective Networking, Inc., and a nationally recognized networking expert. She has lived in Thailand, the Philippines, England, France, and a variety of locales in the United States. Entrance under the walkway, behind Strega Prime. Take the first left through the two sets of solid wood double doors before the elevator. The training room is on your right, solid wood doors marked training room. For those unfamiliar with the Woburn Trade Center, please use the following address in your GPS: 100 Sylvan Road, Woburn, MA. There is parking around the perimeter of the building and ample free parking in the garage. All attendees will receive their own copy of Diane's book, Networking for Career Success, breakfast and will participate in the 1 hour workshop.